On foot or via electric scooters, visitors can discover almost 20 restaurants and bars within a ten-minute stroll. 12South offers a range of dining options from down-home barbecue to exotic Mediterranean cuisine that you can enjoy in casual or more formal atmospheres. (Although truth be told, there’s not a single spot where you wouldn’t feel comfortable wearing a nice pair of jeans, maybe from here even.) Probably the most upscale dining experiences can be enjoyed at places like Josephine, Urban Grub or Epice. At Josephine, chef Andy Little combines his native Pennsylvania sensibilities with classic French techniques to create a unique menu of delightful food. The bar also whips up some fantastic cocktails, probably the best in the neighborhood. 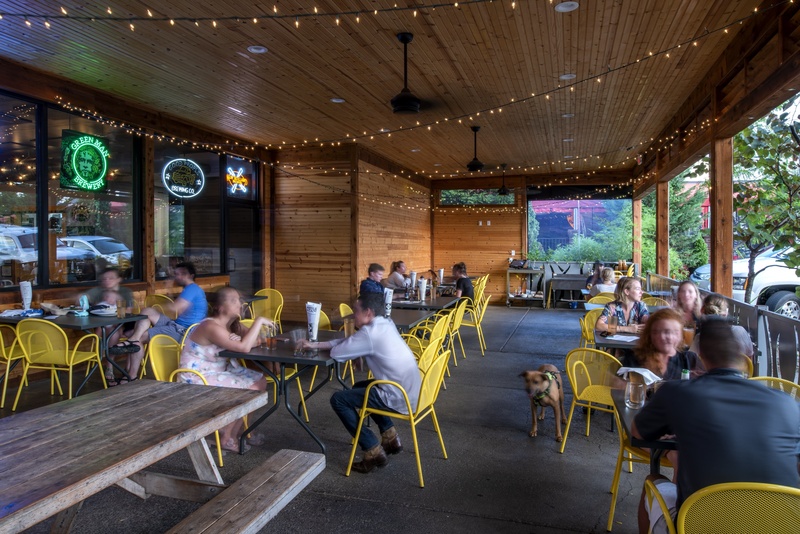 Urban Grub is a massive restaurant that takes advantage of all that space to offer both indoor and al fresco dining options. Enjoy a craft beer and a charcuterie platter on the patio or dine inside for a full-on epicurean experience with a vast array of seafood and Southern specialties plus a chophouse menu of steaks and pork. Epice is a more exotic option serving elevated Mediterranean cuisine that owner Maher Fawaz describes as “Lebanese bistro” food. Don’t be afraid to ask your server about some of the more obscure dishes so that you don’t miss out on the house specialties just because they are unfamiliar to you. If you’re craving tacos, 12South has two excellent options for you. Taqueria del Sol is the cozier of the duo, serving fantastic traditional tacos with fun Southern twists like the Memphis BBQ or the fried chicken tacos. Be sure to check out their weekly specials at both lunch and dinner for even more creative takes on traditional Mexican fare. 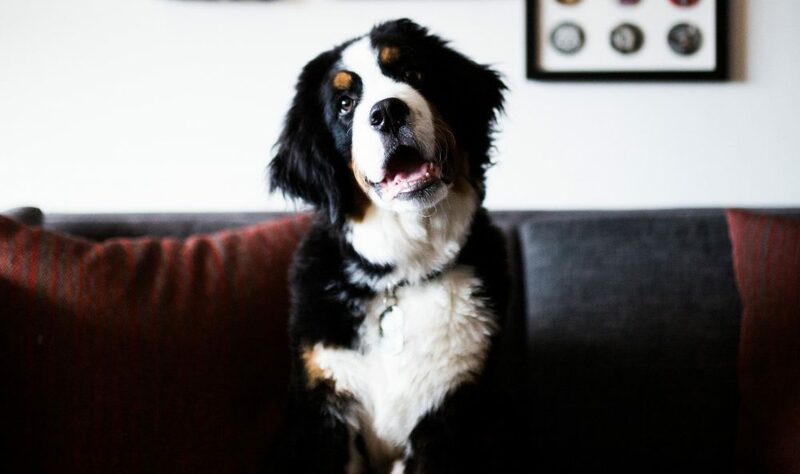 bartaco apparently doesn’t believe in capital letters, but they certainly know how to show guests a good time. 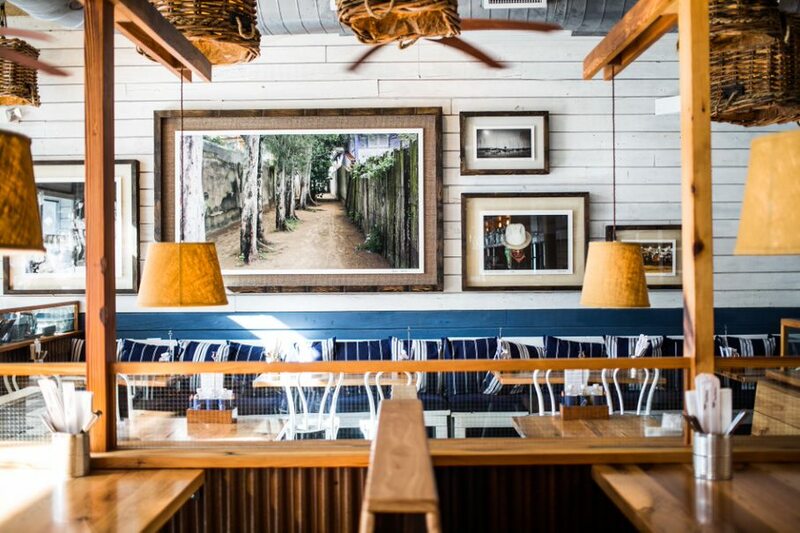 The airy, whitewashed beach-themed interior is usually bustling with gaggles of attractive guests enjoying each other’s company and the menu of tacos and rice bowls. 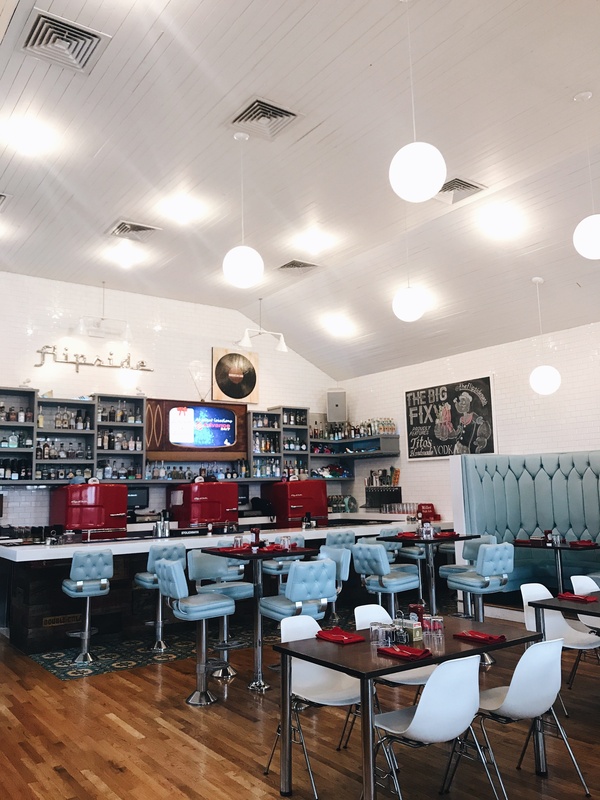 Speaking of restaurants with non-traditional attitudes toward typography, MAFIAoZA’s has been a neighborhood favorite since it opened as one of the first restaurants in 21South in 2003. 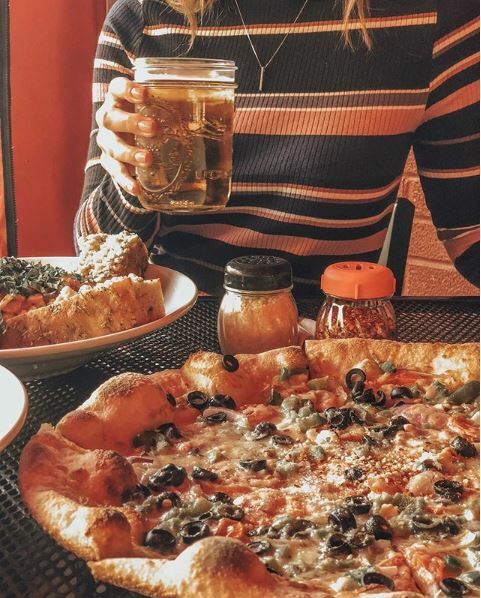 The casual pizzeria serves a legit NY-style pie along with a full menu of traditional pasta dishes and Italian desserts. Combine a well-stocked bar with a fantastic 2-for-1 Tuesday special and crowds pack the joint, especially on that particular night. Meat eaters are in luck in 12South with three spots specializing in beef, chicken and pork respectively. Burger Up makes a point of sourcing sustainable, humanely-treated beef from local sources to create their roster of specialty burgers topped with treats like Benton’s bacon and pimento cheese. At the flipside, (again with the lowercase!) yard bird is king at this restaurant that specializes in chicken breasts founded flat, breaded and sauteed in olive oil to a golden brown. These crispy cutlets serve as palettes for 20 variations of toppings representing international specialties from Italy to Thailand as well as all-American classics like Buffalo chicken and the “Elvis Lives” with peanut butter, honey, banana and bacon. Edley’s Bar-B-Que has the pig covered with smoky pulled pork shoulder and ribs plus beef brisket, catfish and a spicy hot chicken sandwich. They even include their epic banana pudding as a choice among their delicious sides, so you gotta love them for that! That ‘nanner puddin’ isn’t the only sweet treat in 12South, and you can definitely get your sugar rush on up and down the stretch of road. 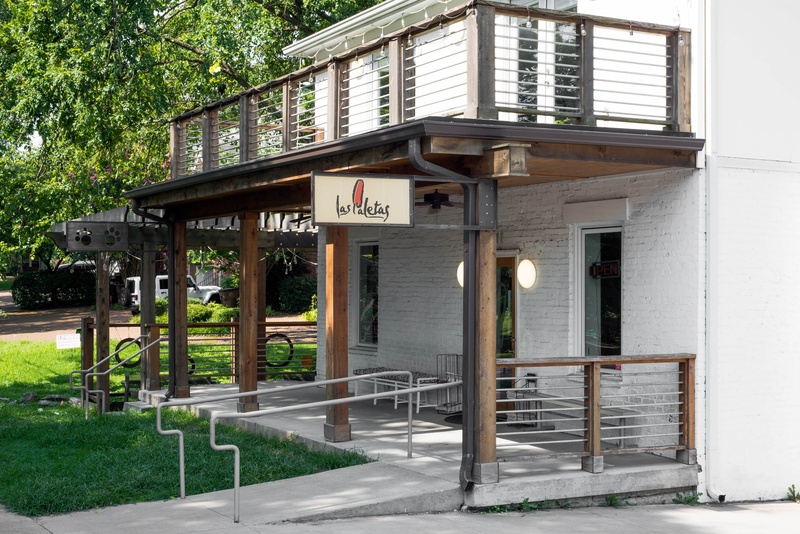 Las Paletas is conveniently situated right across the street from Sevier Park, and on warm days you’ll see families strolling across the green lawns enjoying frozen fruit pops made from Latin ingredients like tamarind, avocado and Mexican caramel. They’ll also gladly dip any of their pops in chocolate at Las Paletas to add a little more decadence to your dessert. 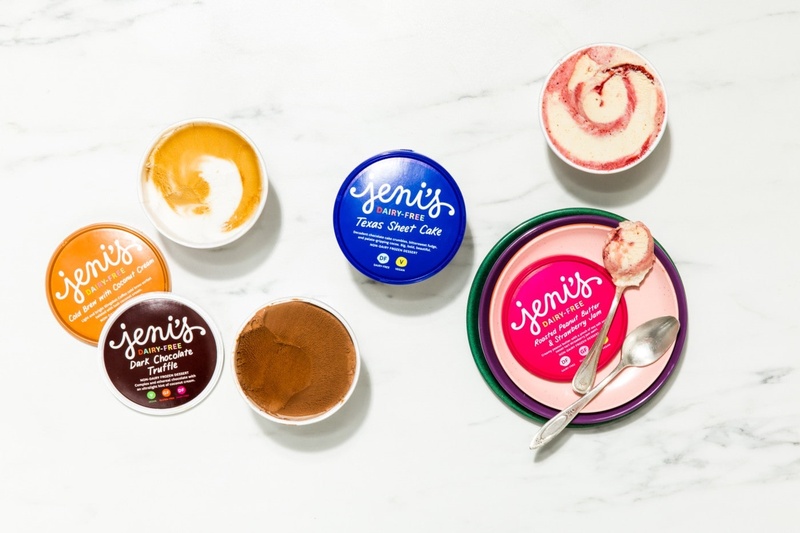 No matter the weather, there’s almost always a line to get into Jeni’s Splendid Ice Creams, because it’s never too chilly to enjoy some of Jeni’s high butterfat ice cream! Thanks to creative flavors like brandied banana brûlée and brown butter almond brittle, you might want to grab a pint or two to go after you finish your cone in the store. If you like your desserts baked, 12South has a couple more options for you. 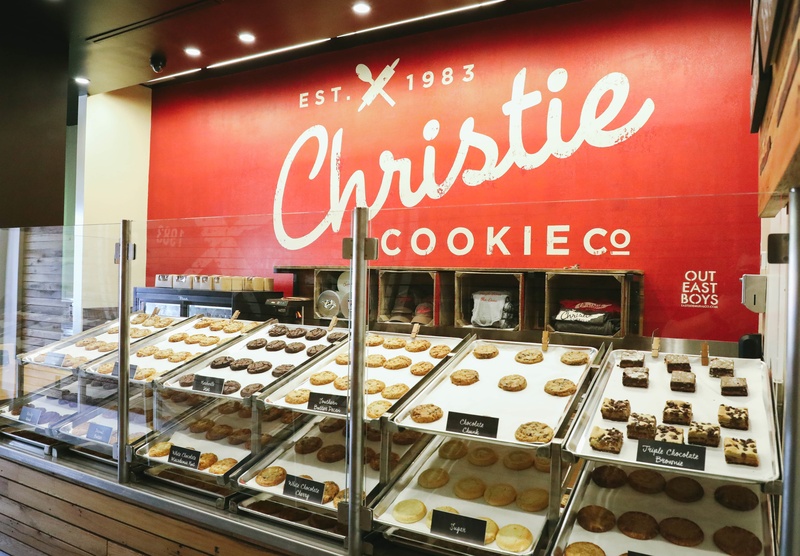 Christie Cookies is a Nashville institution for their quality cookies made using gourmet ingredients. They also make the treat that you receive any time you check into a Doubletree Hotel, but you don’t have to spend a night to grab one in their cozy 12South store. 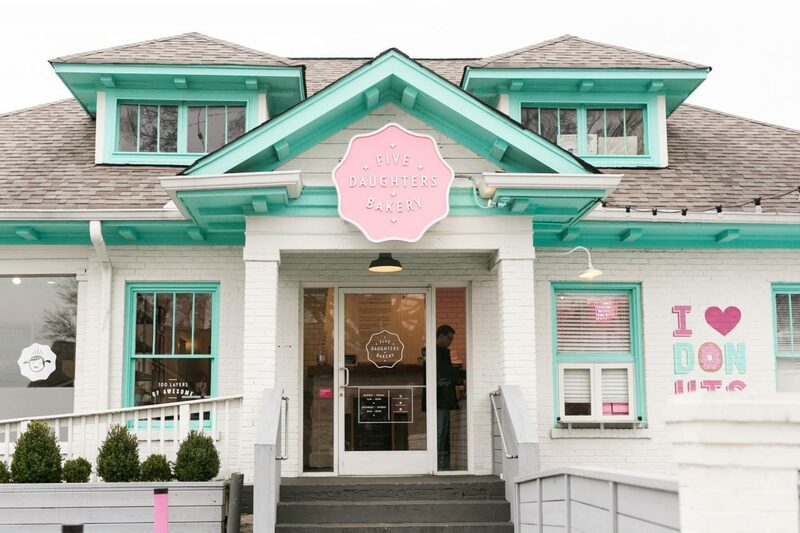 Five Daughters Bakery is a family business that has expanded across the South, but Middle Tennessee is their home. They are best known for their 100-layer hybrid between a croissant and a doughnut, rolled in sugar, filled with cream and glazed with more sugar. Enjoy one (or two) with a cup of coffee for a perfect breakfast. When it comes to coffee, 12South has two great options. 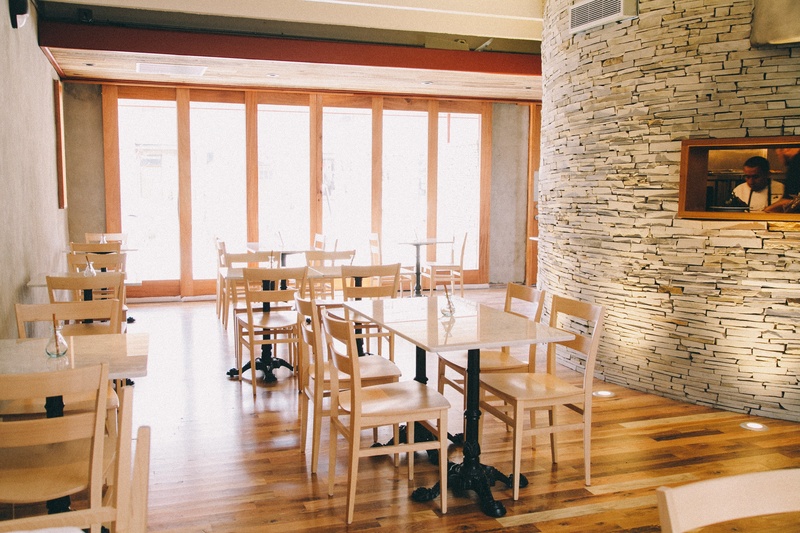 Frothy Monkey is located in an old house, and the atmosphere is certainly homey. In addition to excellent coffee drinks made from their own roasted beans, Frothy Monkey serves food for breakfast through dinner including gourmet sandwiches, soups and larger plates for the evening meal. Just a block away is Portland Brew, where they offer a “taste of the northwest” in the form of espresso drinks, drip coffee and food for breakfast and lunch. 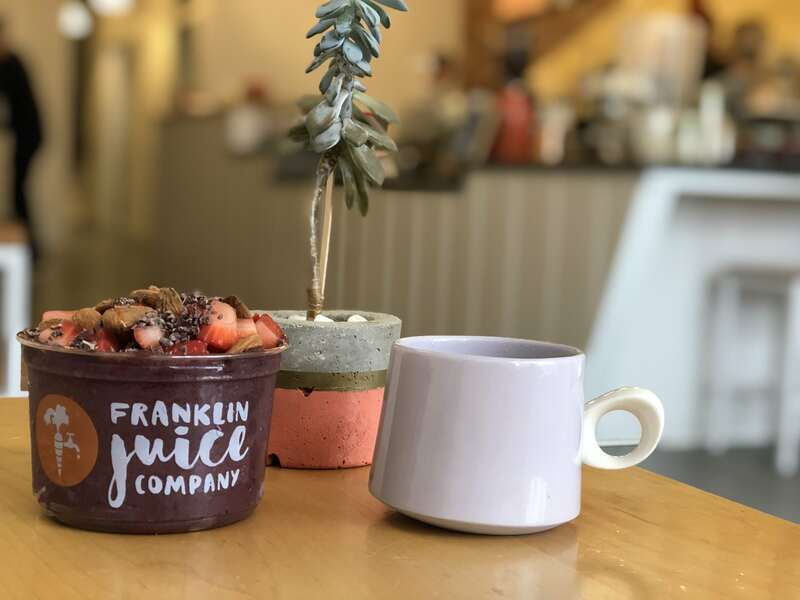 Another popular spot for the morning meal is Franklin Juice Co. where in addition to fresh-squeezed juices and smoothies, they also serve açaí bowls filled with healthy fruits and topped with crunchy granola. You can also order individual juices or a full juice cleanse to go so you can drink healthy at home. 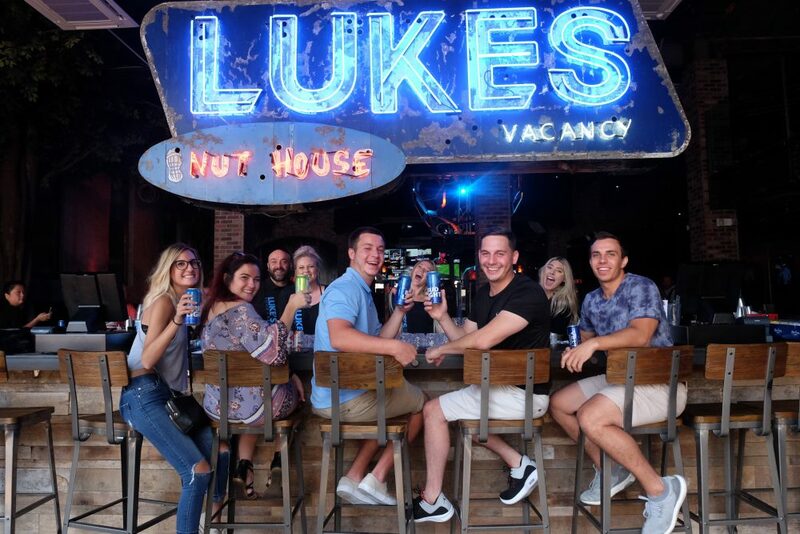 However, you can also drink a little less healthily at 12South Taproom, an iconic watering hole that was one of the first reasons many people ventured to the neighborhood when it opened in 2006 before so many other eating and drinking options sprang up around the humble building. It’s still the best place to find craft beer in the area, either on tap or from a seemingly magical refrigerator that never ceases to surprise with the selection of dozens of great beers from around the country that are stashed inside. 12South Taproom is also a perfect spot for a quick lunch, especially if you want to enjoy a little “liquid lunch” at the same time. 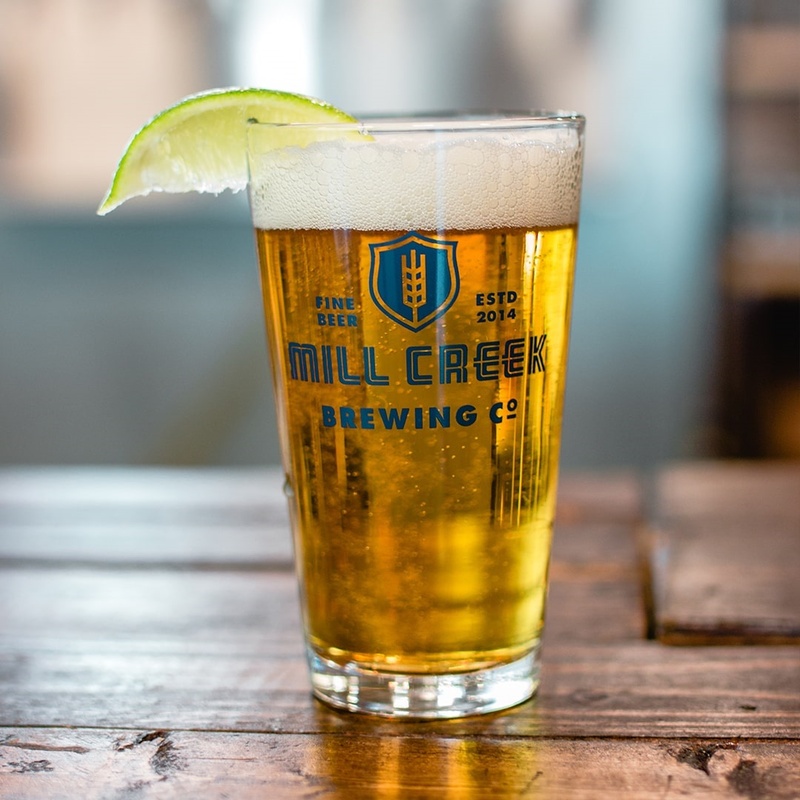 Mill Creek Brewing also operates a small bar on the other end of 12th Avenue from the original Taproom. While their beer menu concentrates on the brews they produce, there’s plenty of variety to please just about anybody. They also serve one of the best burgers in the neighborhood along with soups, salads and desserts. Try their stout beer float for a unique treat! Finally, Embers Ski Lodge is the sort of bar/restaurant you probably didn’t know you needed: an alpine-themed spot with an après-ski vibe all year round. Think of it as a spot to enjoy a fine cocktail, glass of wine or pint of beer after a long day of skiing without having to actually do all that work or stand out in the cold. In addition to those crafty cocktails, there’s also a tight menu of food highlighted by one of the owners’ family recipe for a creamy Alaskan smoked salmon spread with generous chunks of fish, cream cheese and spicy peppers. That’ll warm you up!